Headed to the beach or pool this summer with your bebe's? Well, you don't want to be THAT parent who closes down the pool for a lil' "accident", so make sure your bag is stocked with these adorable swim diapers from The Honest Co. The Honest Co. was co-founded by Jessica Alba and offers baby products that are safe, eco-friendly, stylish and affordable. They offer regular diaper service where you select your favorite patterned diapers and they ship them directly to your door! Plus, they have created a line of bath and body products for your baby that are natural and non-toxic. 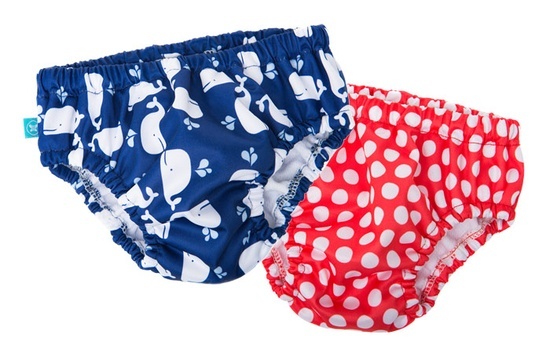 But what caught my eye were these swim diapers. Not only are they cute and stylish (love the whale pattern!) but they are re-usuable. Extra points for being a friend to the environment too! And "tickled pink" or "green with envy". Yes, retro mood jewelry is back in style! Or perhaps, it never really went out of style. In any case, Ms. T's favorite new accessory is her mood bracelet. I picked hers up on a whim at one of our favorite boutiques, The Purple Goose. She has been fascinated with it since day one and has finally committed to memory what each color's mood is (blue is actually calm, green is sensitive, etc...). It also has caused quite the stir in her classroom with her fellow girlfriends. So much so, that we headed back to the store this past weekend to pick up extras for upcoming birthday parties. 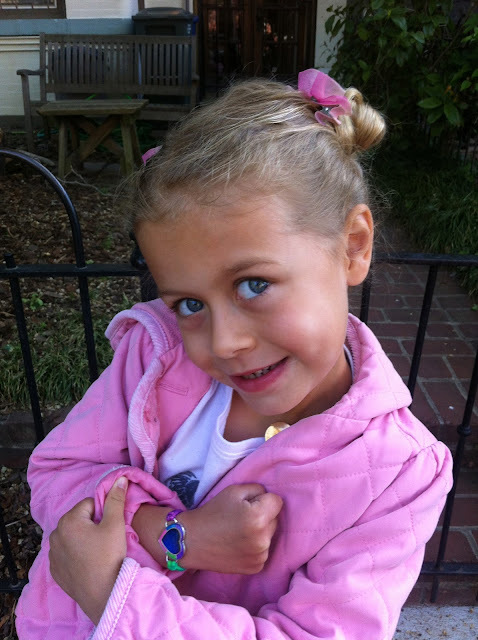 The bracelets come in three designs; heart, star and flower blossom. The girls LOVE them. I think they are pretty groovy too!